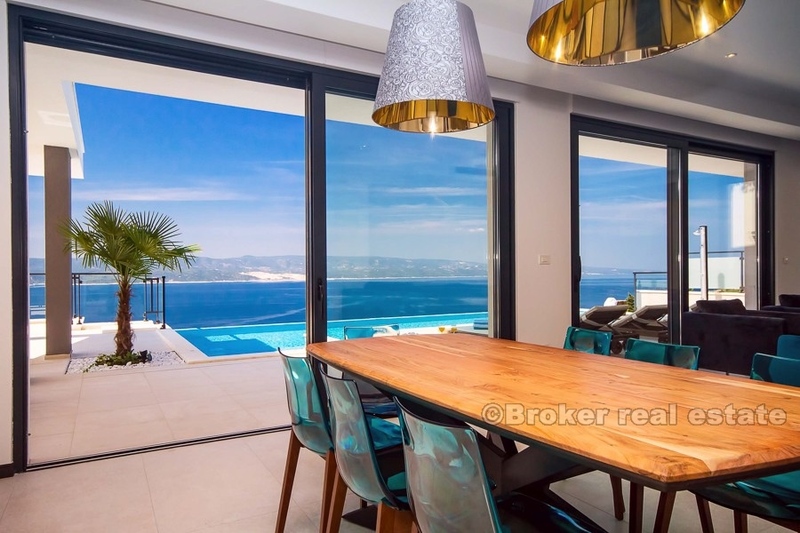 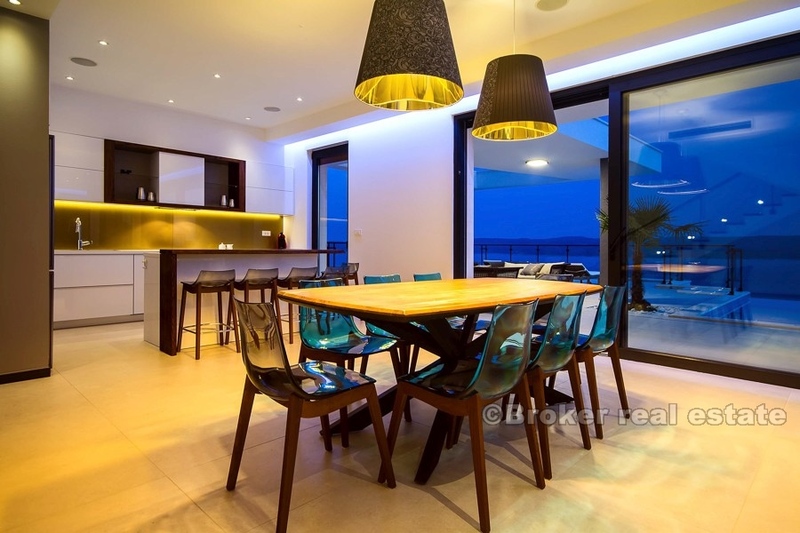 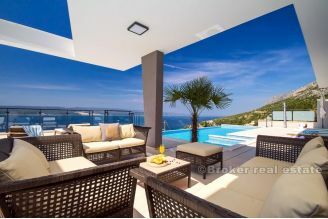 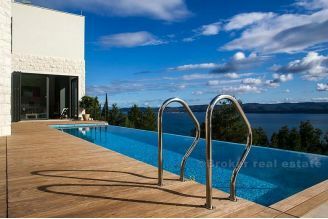 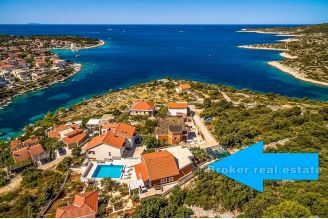 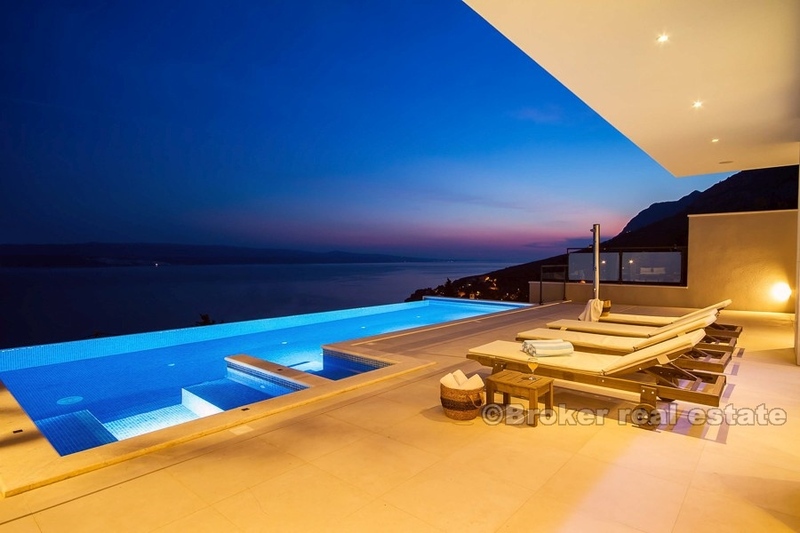 A modern villa with swimming pool with great sea view is for sale. 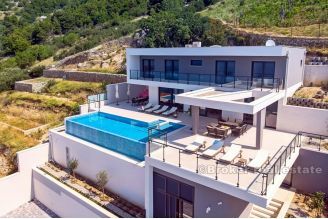 The newly built villa is modern in style, equipped with a swimming pool, sauna, fitness room, games room, barbecue on the terrace. 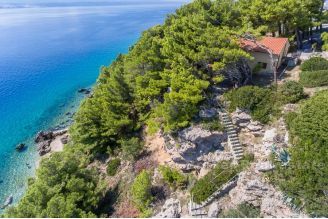 It is 900m away from the sea or 200m airline, and is situated in a quieter part of a small Dalmatian romantic place. The house consists of a basement, ground floor and two floors plus an outside space. 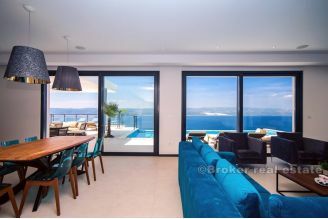 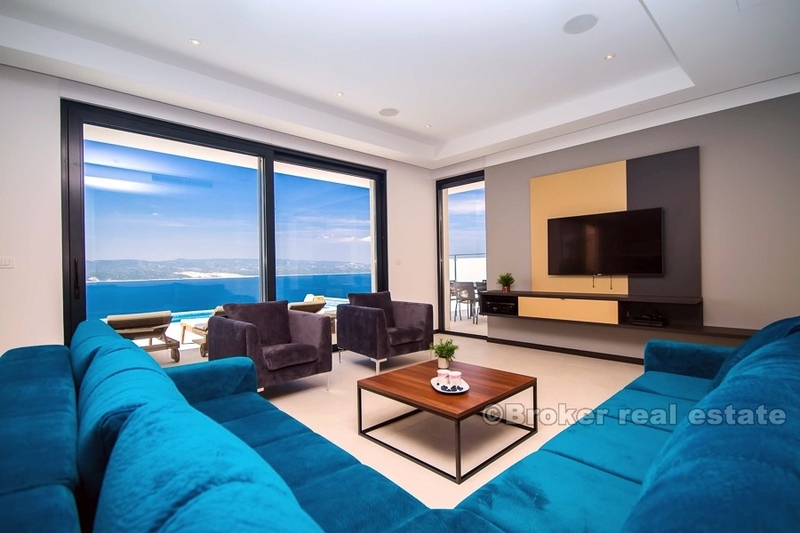 The interior area is 310m2, terraces and balconies 252m2, and the environment about 205m2. 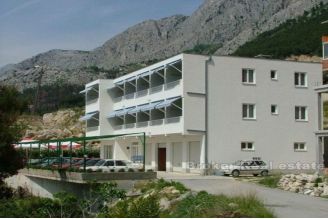 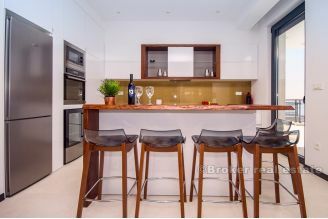 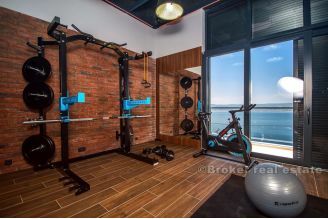 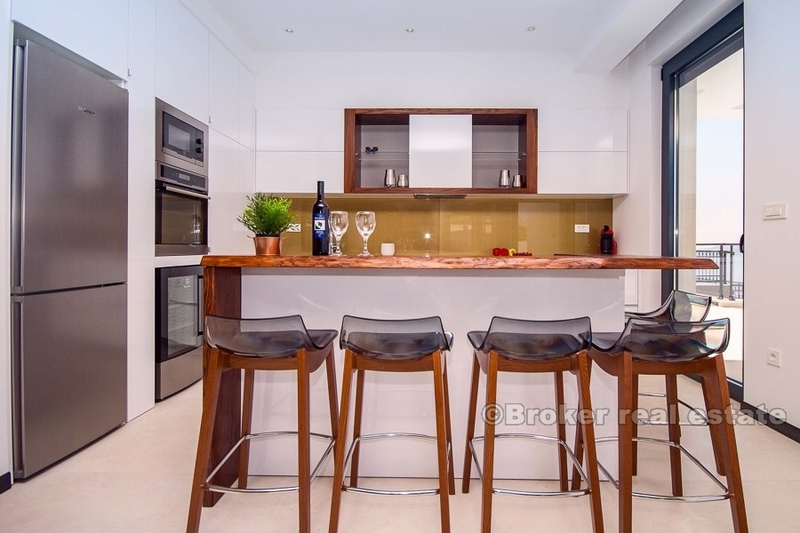 At the basement level there is a garage of 40 m2 and three outdoor parking places. 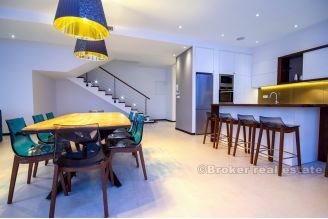 On the ground floor there is a wine cellar, hallway, staircase, bathroom, living room and kitchen. 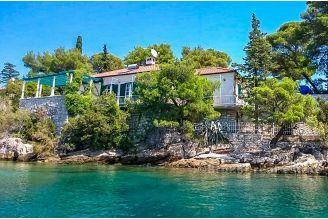 On the first floor there is a staircase, a hallway, a kitchen of 14m2, a dining room of 31m2, a living room of 28m2 and a toilet. 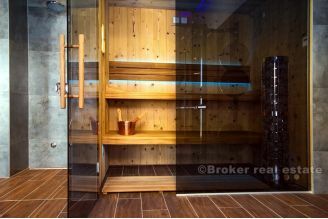 On the second floor there is a staircase, hallway, laundry room, 4 bedrooms and 4 bathrooms. 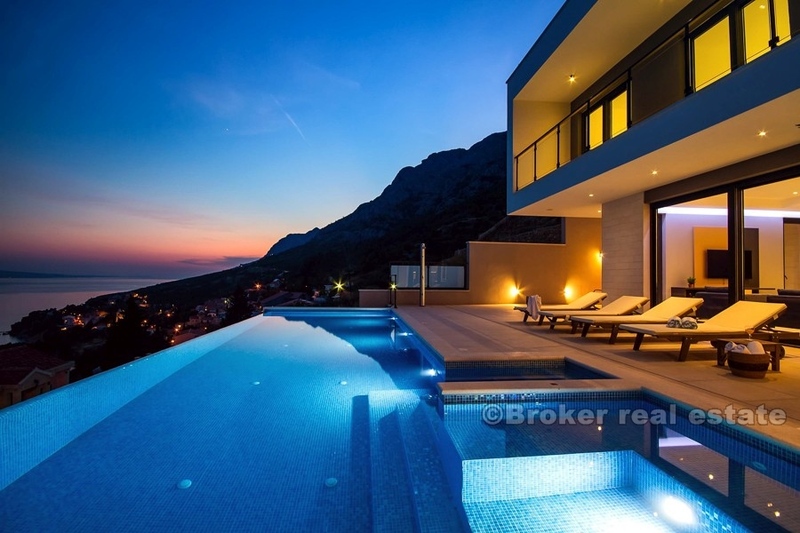 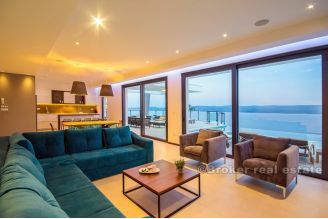 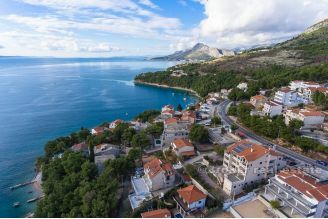 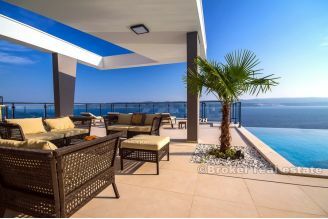 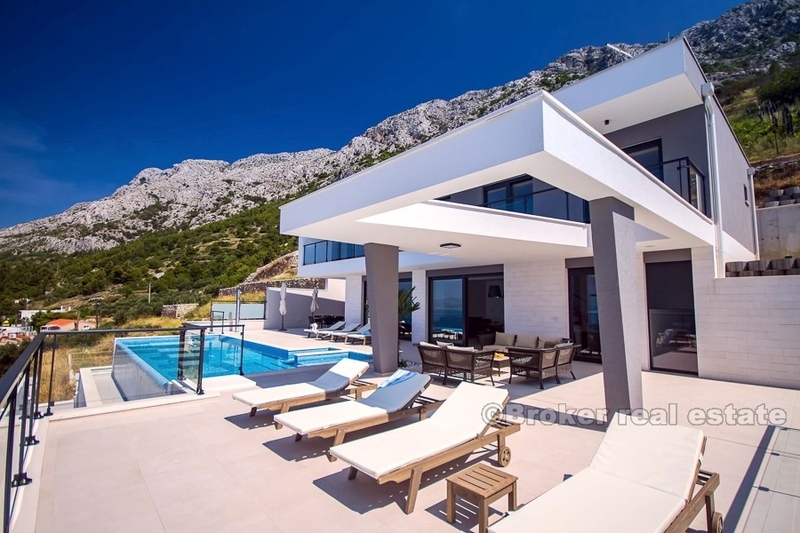 Given that it is located in a natural environment near Omis, the location offers a multitude of opportunities for entertainment as well as a visit to many restaurants and other attractions on the sea.